As we move into October 2017 the days are beginning to get noticeably shorter, darker and colder and soon enough winter will be upon us. To quote The Game of Thrones and wee Jon Snow “Winter is Coming”. Do you still raft in the winter? The main question we get around this time of the year is “Do you still run your activities? Do you raft in the winter?” And you guessed it, the answer is “YES”. Splash White Water Rafting is open all year round and we provide activities through the Spring, Summer, Autumn and Winter seasons. Why come rafting in the winter? So let’s just deal with the elephant in the room. Yes rafting in the winter is cold, the air is cold and the water is cold but we provide you with suitable equipment to deal with the cold. This is in the form of neoprene wetsuits, ie thick rubber wetsuits that keep your body insulated from the cold whether you are in the boat or in the water. (Yes, ending up in the water does happen when rafting!). So why would you choose to come rafting this winter? 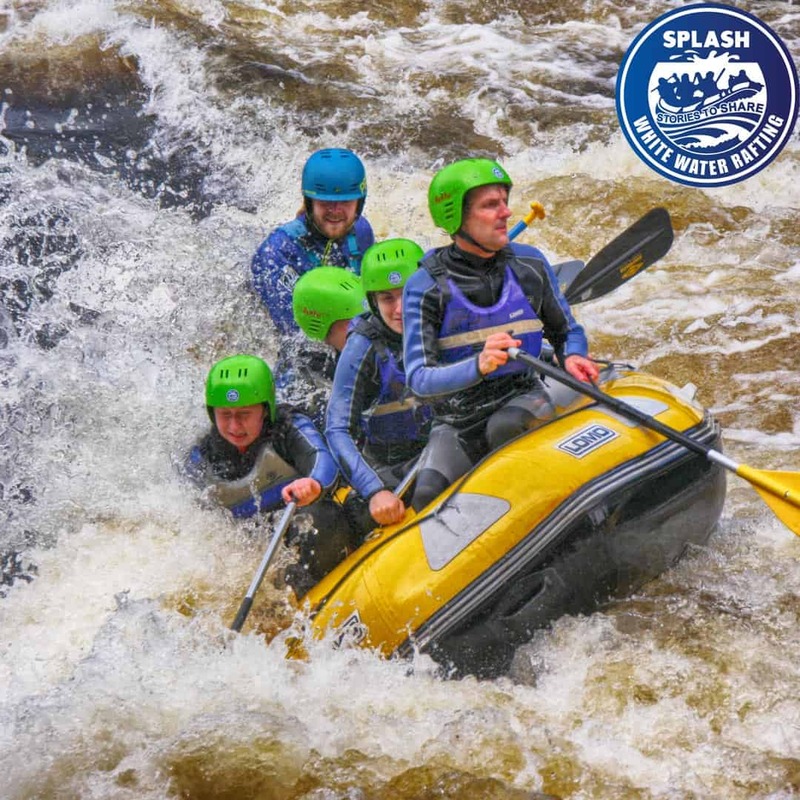 White Water Rafting is all about water and there is one thing that is guaranteed every winter here in Scotland – yes you guessed it – lots of rain. In the winter the rivers swell. 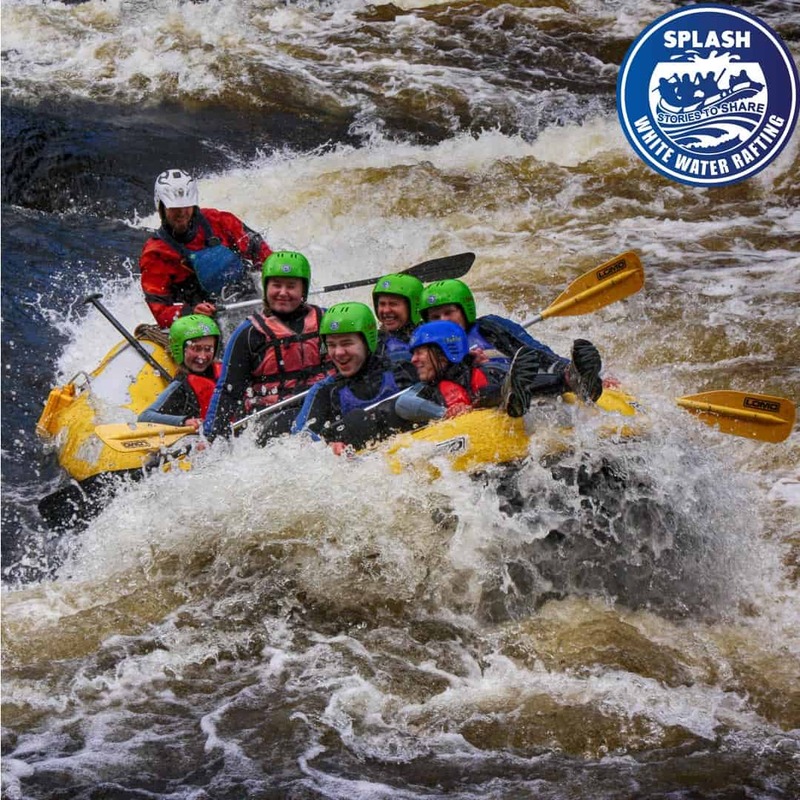 Our main rafting river – The River Tay, which is also the most rafted river in Scotland swells in the winter into a big bouncy, fast-paced beast. When it rains, the river’s catchment area stars delivering water into the Tay and the river begins to transform. River features that are associated with the river during summer levels can completely disappear and new river features appear with the increase in water. Winter rafting usually means big water, faster water and more adventure for your buck. We also have more chance of running rain-dependent rivers like the River Orchy. The Orchy is a special river that only runs when it rains but when it rains it produces a world-class rafting river that has continuous class 3, 4 rapids and even two grade 5 rapids. Click here for a description of the river grades /classes. We have also teamed up with Moness resort to offer a fantastic party eveing, accomodation and rafting package. Just one more reason to come rafting with Splash White Water Rafting this winter here in the Highlands of Scotland. For more info on this party click here. Is adventure good for you?